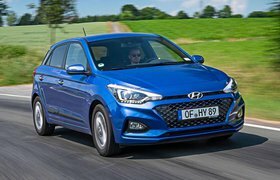 7 reasons to buy a Hyundai i20 | What Car? The supermini segment which the Hyundai i20 occupies is dominated by huge players and formidable opponents; the Ford Fiesta claims the most sales, while the overall package of the Skoda Fabia earned it the title of What Car? Car of the Year a few years ago, and Best Small Car at this year’s awards. Despite the daunting level of competition, the i20 impressed us with its value for money, five year warranty and the sheer space on offer. Rivals like the Vauxhall Corsa and Volkswagen Polo can only match the i20’s four-star rating, while the Seat Ibiza and Kia Rio trail behind on three stars. Take a look below for the seven reasons it deserves a place on your wish list, when you’re shopping for a supermini market. Go for the 1.0-litre petrol engine and you’ll never want for more; in 118bhp guise it’s got a six-speed gearbox for quieter motorway progress too. The 99bhp is more than adequate, but a five-speed makes it more suited to town trips. The 1.1-litre diesel is remarkably efficient but rather sluggish, and the 1.4-litre diesel is flexible and responsive. The 1.2-litre petrol is the only weak point – even the higher-powered version feels gutless on faster roads. In recent years, Hyundai has made a reputation for itself as a good value brand. 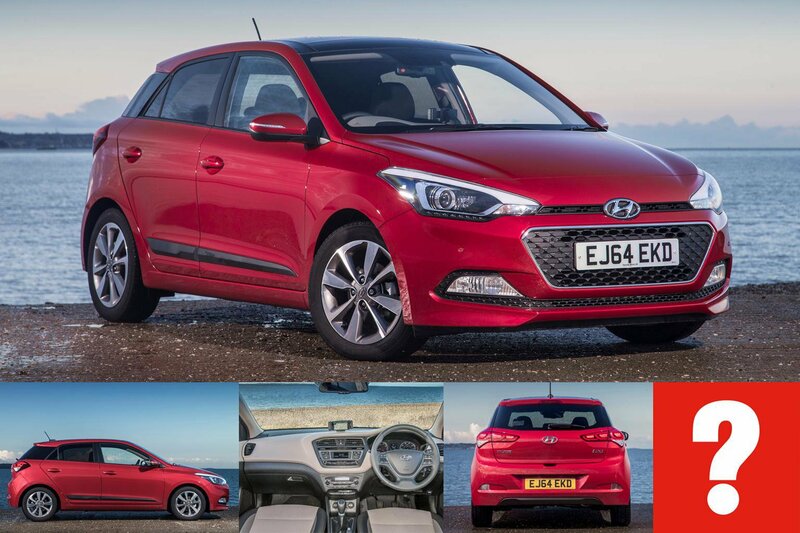 This is evident in the i20, which, providing you avoid the entry-level S trim and plump for SE, is generously equipped, while Premium spec is comprehensively kitted, just rather more expensive. Avoid Premium SE – it’s too pricey. The 1.0-litre engine excels again, with high fuel economy and low emissions. It’s pricier than the 1.2, but you’ll save money in the long run. At low revs, the 1.2-litre petrol is the quietest of the bunch, but breaks composure at higher revs. The 1.0-litre is the pick of the bunch in this respect – the diesels send more buzz through the cabin. The 1.0-litre is reasonably quiet and doesn’t sound bad when you have to rev it. All in all, the interior is a pleasant place to be; certainly not as cheap-feeling as Hyundais of old. It’s not VW-solid, but few in this segment are. You won’t struggle to get comfy in the driving seat of an i20; there’s plenty of seat adjustment as well as height and reach adjustment for the steering wheel. Slightly offset pedals leave room for a footrest. The interior is simple and uncluttered – especially considering there’s no colour screen – but that just makes it easier to use by being less complex. Hyundai is near the top of the pile when it comes to reliability; finishing 9th out of 37 manufacturers in a recent used car survey. Hyundai’s five-year warranty is only bested by its sister brand Kia’s seven-year one, but it’s more than sufficient, and Hyundai’s five-year UK roadside assistance pack lasts four years longer than Kia’s. With thin front pillars and only chunky rear pillars causing blind spots, especially in the three-door car, visibility from the i20 is admirable, if not perfect. Go for that SE spec i20 and rear parking sensors make life easier too. SE gets front foglights too. The i20 trounces rivals with its space. Its boot is one of the largest in its class, its front space has is one of the roomiest in its class, and the five door’s passenger space leads its class – there’s no arguing with that. On top of this, it’s got a high roof giving good headroom, plenty of storage space for family essentials and a wide interior – you definitely won’t be rubbing shoulders with your passenger from the driver’s seat. The previous-generation i20 was an admirable supermini too, albeit not the near-complete package that its successor is. 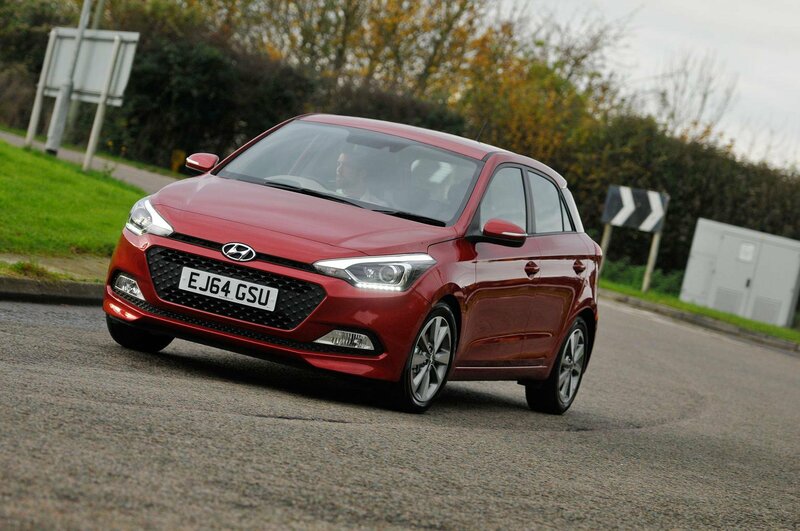 Our car of choice is the 1.2-litre Classic i20, which returns a claimed fuel economy of 57.6mpg. A decent one with around 10,000 miles on the clock will set you back around £6000, just watch out for worn clutches and brakes – these could mean that the i20 was formerly a driving instructor car.